Last Saturday I discover a new series on SkyTV, Pan Am. 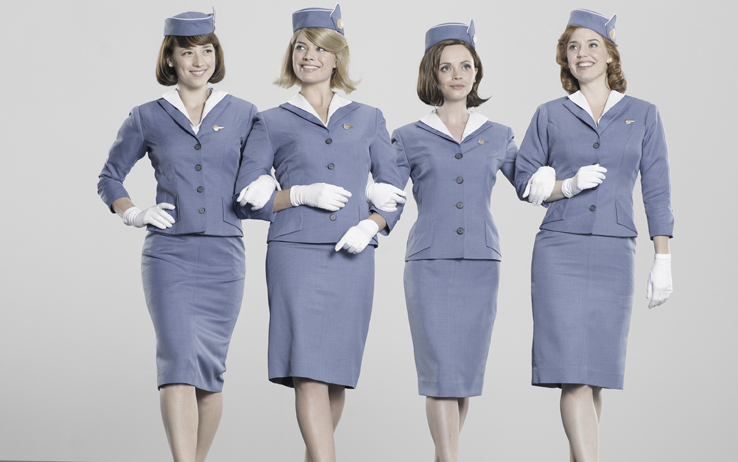 It tells the life of four hostess that work for Pan American World Airways during the Sixties. I really like the style of these girls, so polite, flawless and very Sixties, when the shape of woman was enhanced by clothes. I really like long pencil skirt, chaste blouse and the lovely gloves and hats. 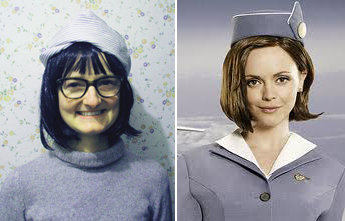 In this picture I seem to be one of the Pan Am hostess. Welcome on board! I'm wearing a Velvet Elisa hat. The hat and your reinterpretation are great!!! Hello! 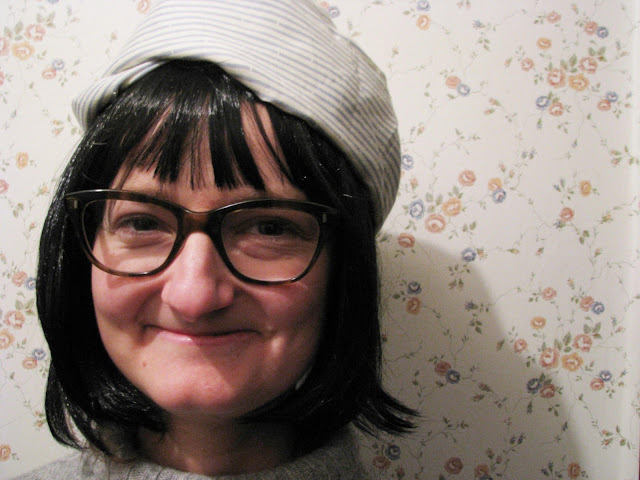 I am Velvet Elisa sometime an architect and sometime a fashion designer. I love fashion, art, diy, tango and yellow things. I would like to share with you experiences and some of the things that inspire me.